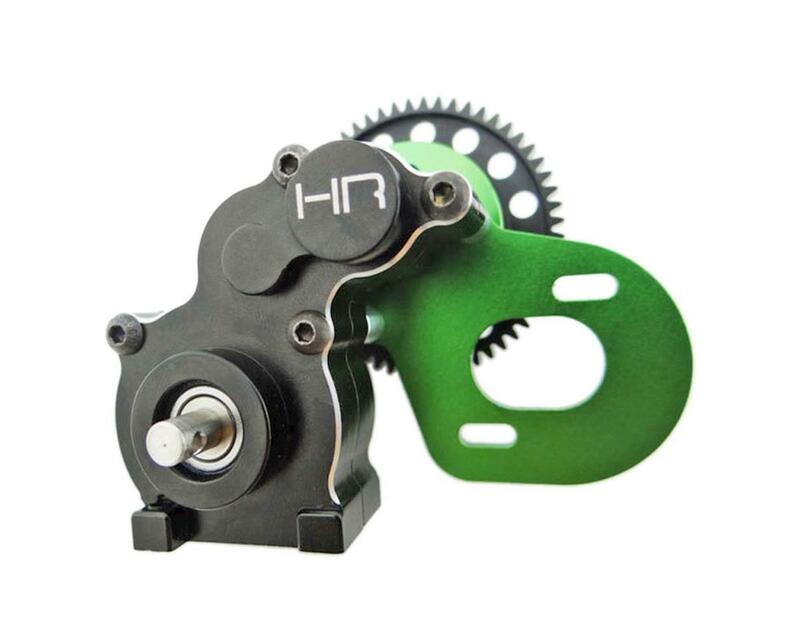 This is the Hot Racing Complete Steel Gear Transmission for the Axial AX10 and SCX10 platforms. This complete transmission features a heavy duty 32 pitch, 57 tooth spur gear. For Axial AXI80078 gear cover or Hot Racing HRASCP32X01 aluminum gear cover, Axial backplate AXI80078 is required. Backplate center hole may need to be slightly enlarged.